Check out Marvel’s books on sale 9/19/2018! Return of Wolverine! Quick word before we get into the business. If you want to see all the books we have coming in this Wednesday, go to our ‘New Book Releases’ page on our website, it has a comprehensive list of all the titles we are getting in WITHOUT the inane commentary from me. 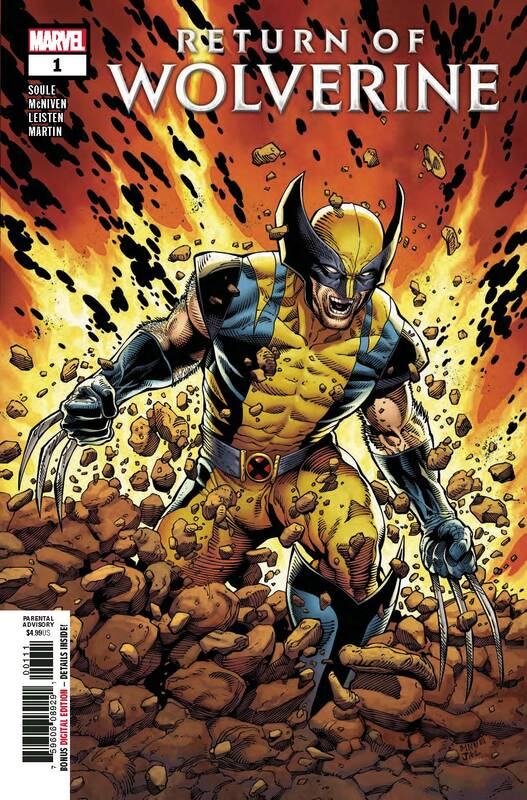 That’s right, Wolverine is finally back and we have a healthy stock for Wednesday. Get them now because they are SOLD OUT at the distributor level. What that means is that we can no longer reorder 1st prints of the book, what we ordered from our distributor is all we are going to get (on rare occasions some might be available, but that’s rare). Why tell you this? Letting you know that something is sold out at the distributor level tells you two things. 1) The book is popular not just at our store, but enough stores ordered it so that Diamond Distribution (the sole distributor of comics) sold out of their stock. All stores will not be able reorder this book. 2) If you are interested, get in now for cover price because sell outs are what drive up the price of a book. Your options is to hunt it down or wait for the 2nd print of the book. Let’s start with the OTHER #1s out this week. Check out the Dell’Otto Amazing Spider-man Annual #1 variant! 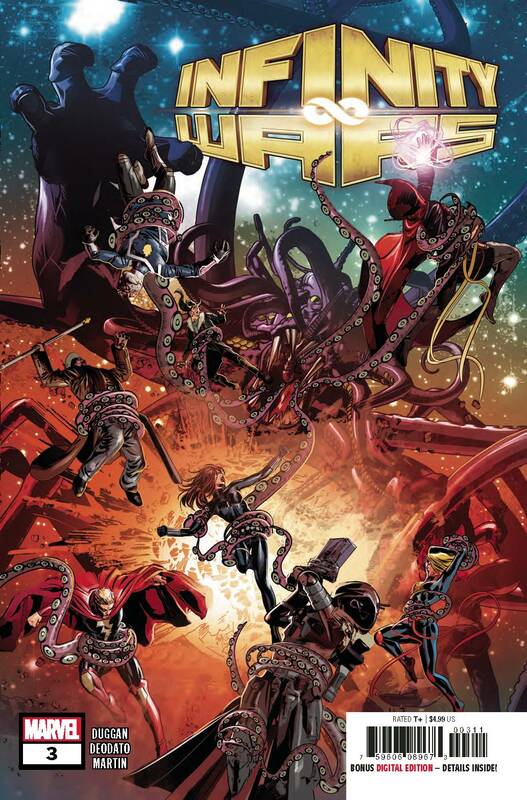 This week we see the start of new characters spinning out of the Infinity Wars event with Soldier Supreme #1 (I’m not saying Infinity Warps, that’s silly). Now on to the rest of Marvel releases. Edge of Spider-Geddon, 1 per customer has been the theme with these books. 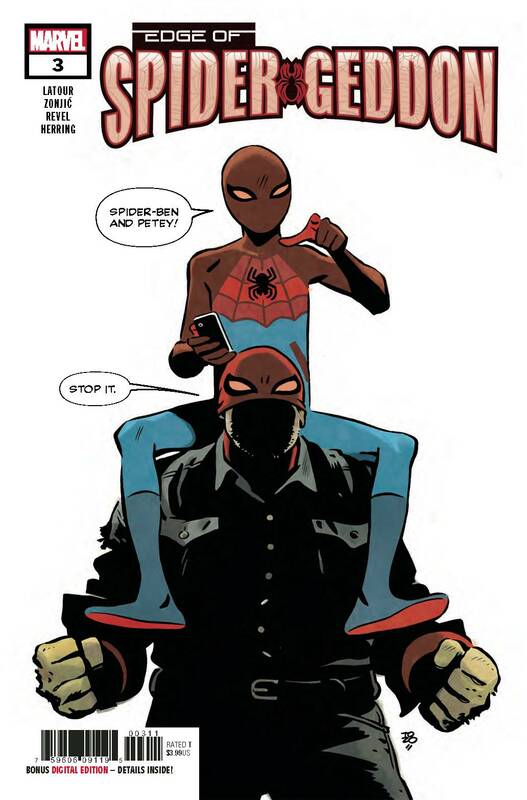 Put the regular series, Spider-Geddon, on your pull list now. 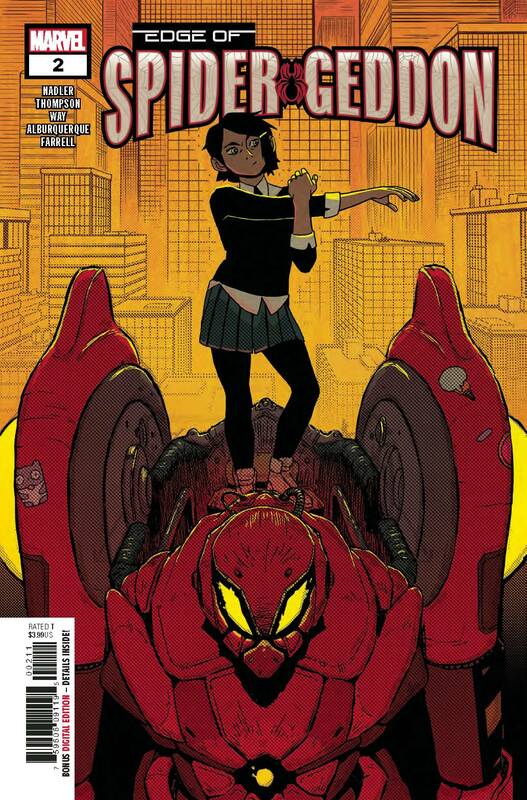 Spider-geddon #0 comes out 9/26 and is already sold out at the distributor level! The ‘Edge of’ series have been putting out cool characters that make getting back issues hard to find. They’re also fun stories that don’t screw up the timeline, for some reason. NEW STORY ARC! Have you heard how aWeSoMe! 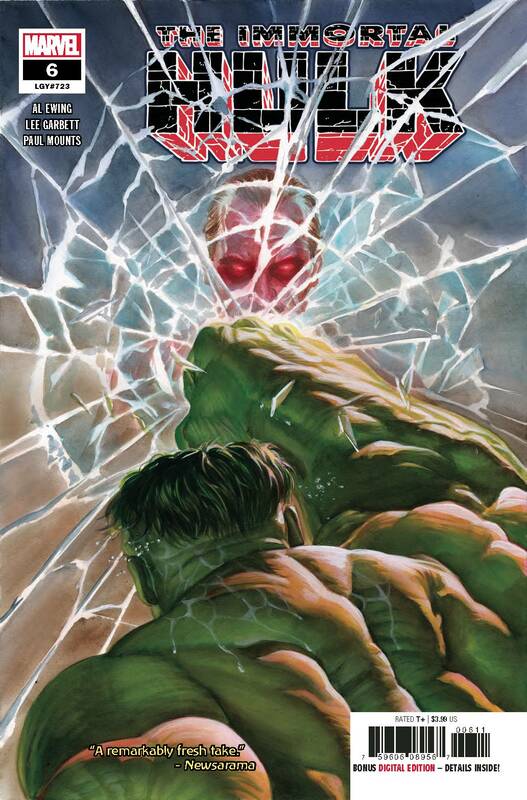 Immortal Hulk is, but missed the boat? Now’s the time to jump in as a new story arc called ‘Green Door’ starts here! What is a jump in issue or new story arc? Simply put, you can start reading this issue without having read any of the prior issues and not be lost. We are going to bring back our ‘Jump In Issue’ tags in the store, which will indicate which books start new stories for you to start reading. And these books feature incredible Alex Ross covers! 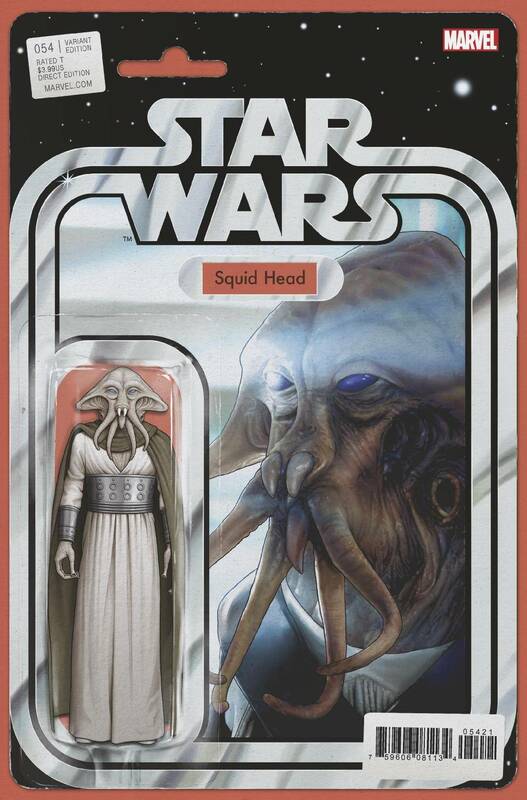 I had to stick in this awesome John Tyler Christopher Squid Head variant for the Star Wars fans out there. Don’t forget the True Believers titles, which are only $1.00! Marvel usually coincide these with new releases on Netflix and/or movie releases. Pretty cool to be able to get 1st appearances for $1.00 and some of these actually go up in value (I know, I know, that’s not why you buy comics, but it doesn’t hurt to have value to your collection). 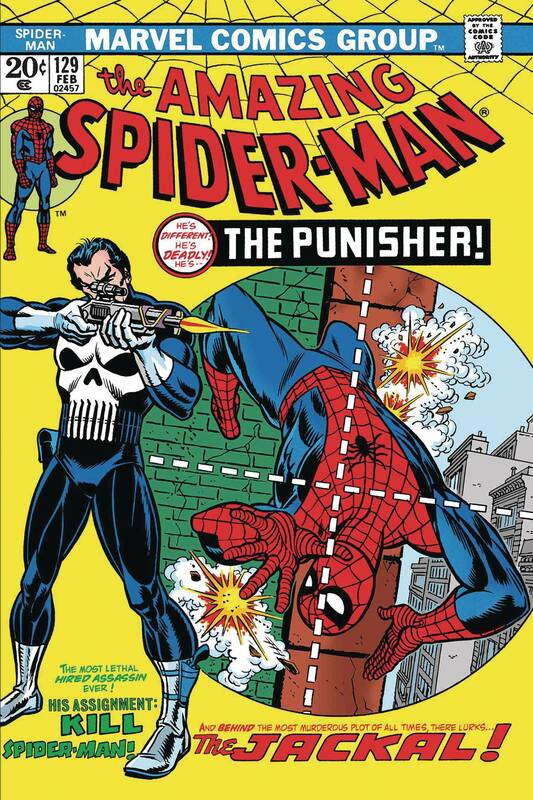 Check out the Mike Zeck cover, just awesome! 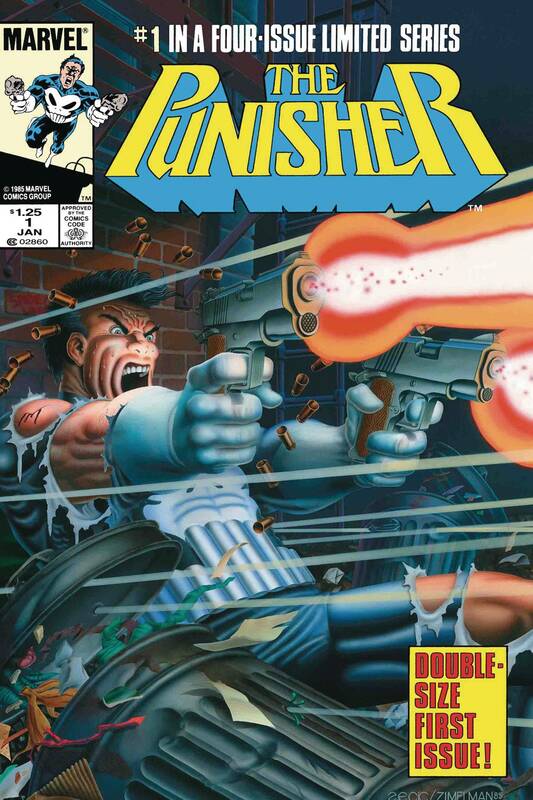 Punisher #1 was the first mainstream cover that went above-and-beyond all the other covers out there in eye appeal. Now you have Mattina, Artgerm, etc. putting out awesome covers, but Zeck, to me, was the first artist putting out top notch covers AND he did the interior art! 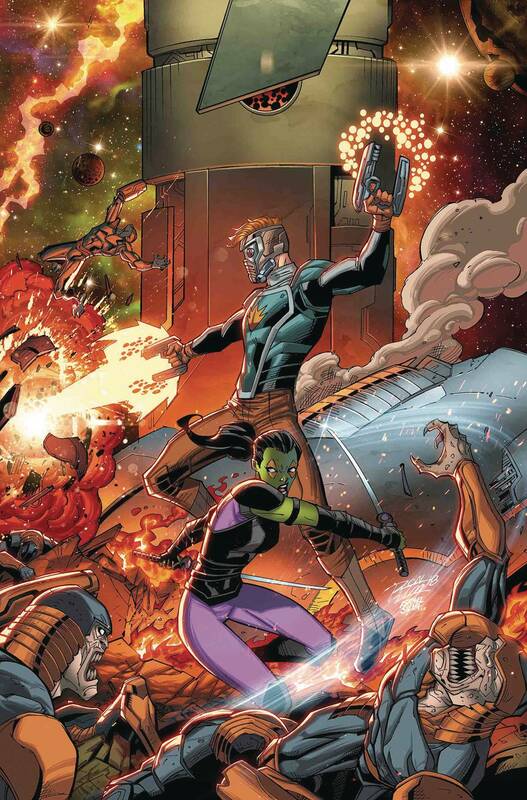 Check out Marvel’s books on sale 9/12/2018! Welcome to New Comic Day, best day of the week! Just a quick word about our independent month sale! Take advantage of our 25% off all non-Marvel-DC-Image books for the month of September. Please feel free to tell the person checking you out that you are taking advantage of the independent sale! It’s a nice reminder for us at the register AND a chance for us to take a picture of you to put on our Facebook page! For Marvel, this is a relatively small week with nothing new really surfacing. We’ll start with #1s. 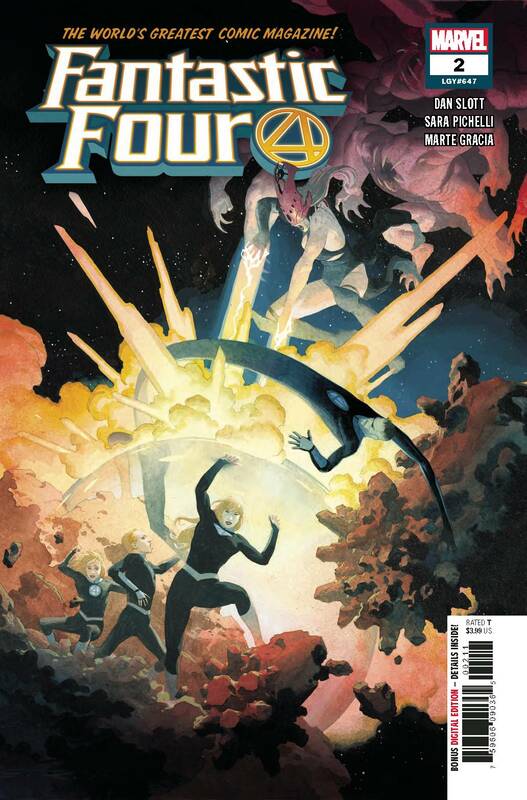 It seems like it took forever, but Fantastic Four #2 is FINALLY out! 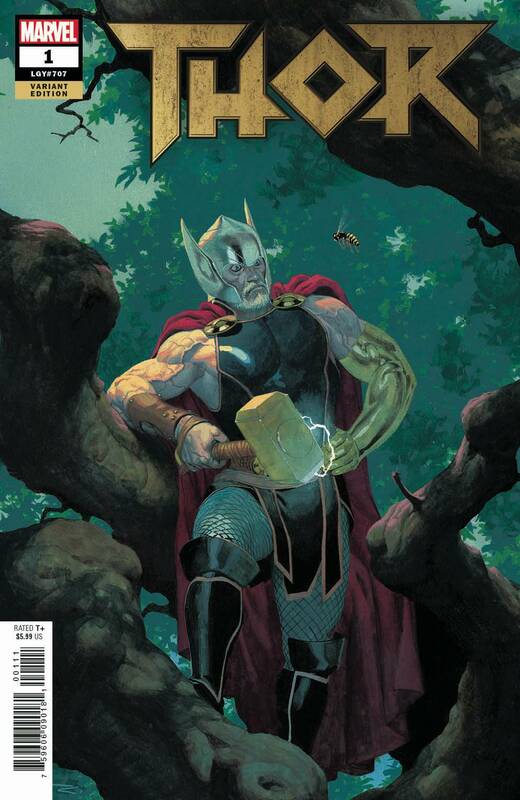 We have a number of #1s still in the store, so jump in and enjoy the comeback of Marvel’s first heroes! We tons of Infinity, whether it be the Countdown or the current series, we have it. If you haven’t jumped in, but want to, the above-mentioned trades will get you up to speed. For those of you currently reading, #3 comes out Wednesday. This is sold out at the distributor level, so if you want one definitely get it now! 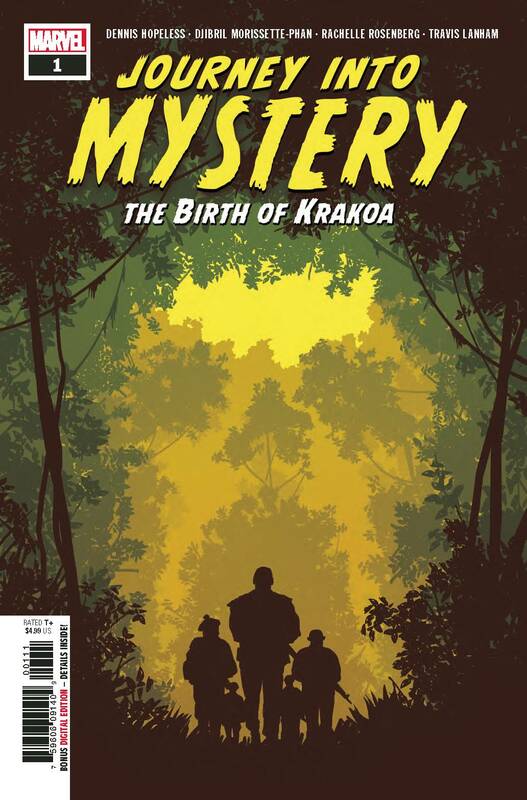 Journey Into Mystery is back! This looks to delve into the horror genre and features Nick Fury & his Howling Commandos engaging in a mission like they’ve never encountered before. This happens toward the end of WWII. Of course, there’s Venom books! 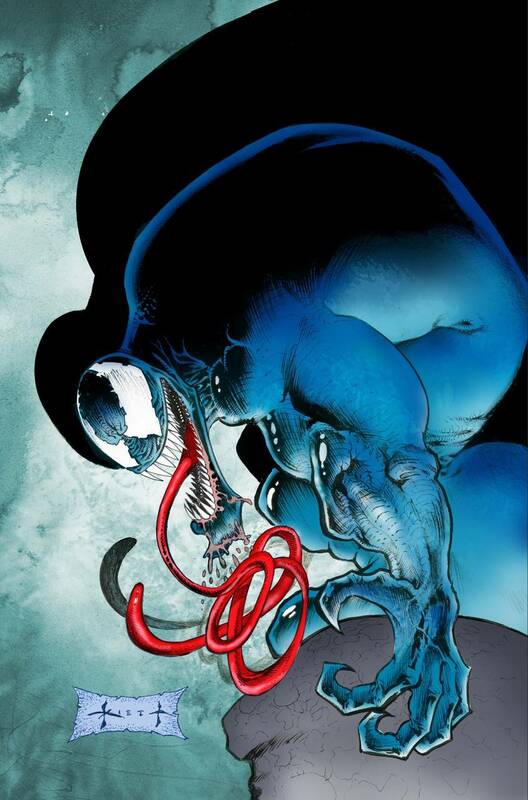 Read up on some Venom history with Planet of the Symbiotes TP! Yes, Star Wars titles! 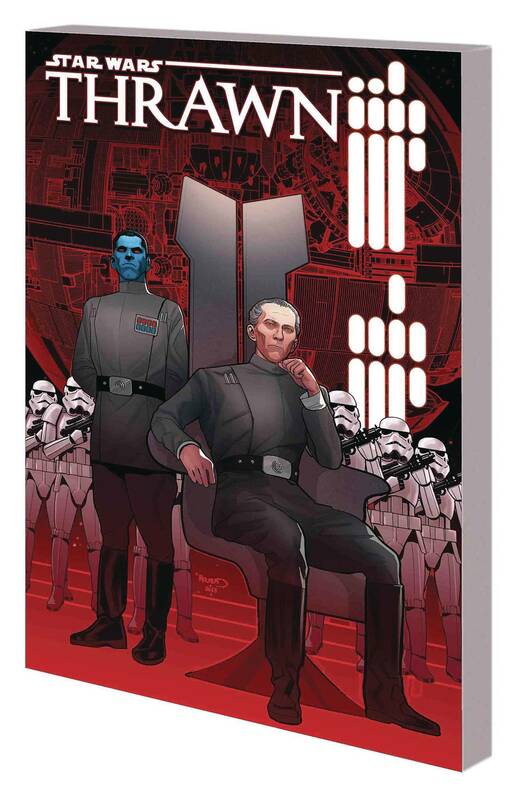 Have you been trade-waiting the Thrawn comics? Here it is! Check out Marvel’s books on sale 8/28/2018! First a quick word about damages. Without fail, we always have some damages with our order. Whether it be from the manufacturer or shipping, there is always something damaged. Some weeks are worse than others, there’s nothing we can do about it. Damages take 2 weeks, yes TWO WEEKS to get back to us. 99% of the time they do get replaced, so an exercise in patience is appreciated. “Jason, you must be saying this because something important was damaged this week.” If you are saying this you would be correct. 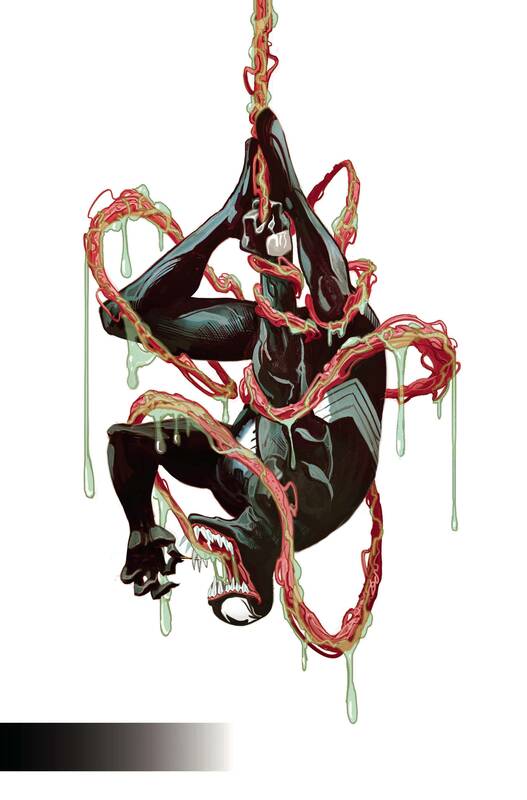 The Web of Venom #1 cover B were all damaged. If you want one, please let us know and we will put it in your box when it gets delivered. On to the business. A few #2s come out this week & hope to continue their solid story lines. 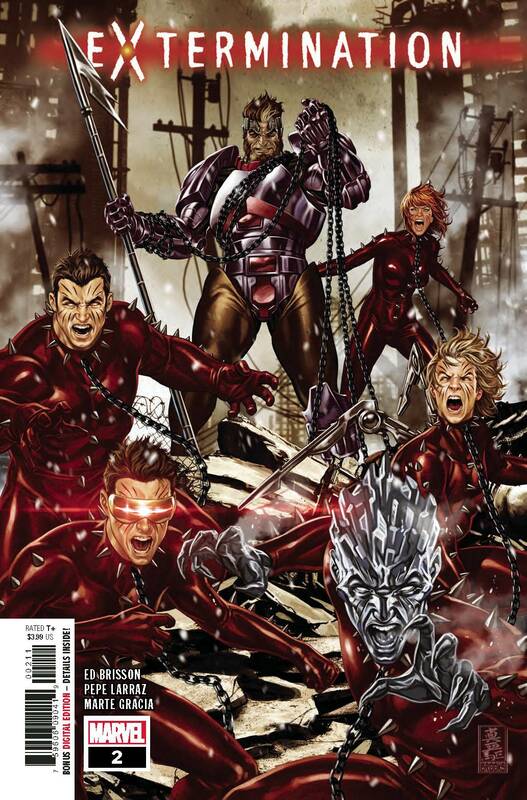 If you are NOT reading Extermination and are looking to jump into an X-book for the first time, this might be the series! 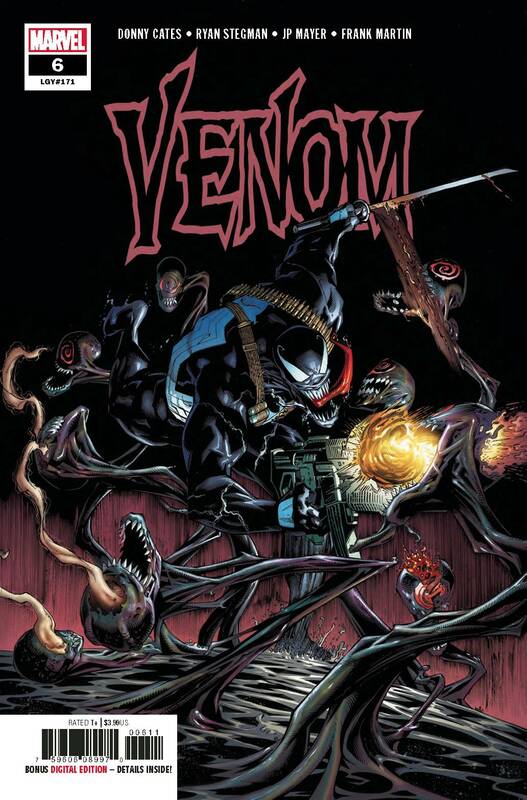 Venom continues his hot run with a host of new books written by Mike Costa & Donny Cates! 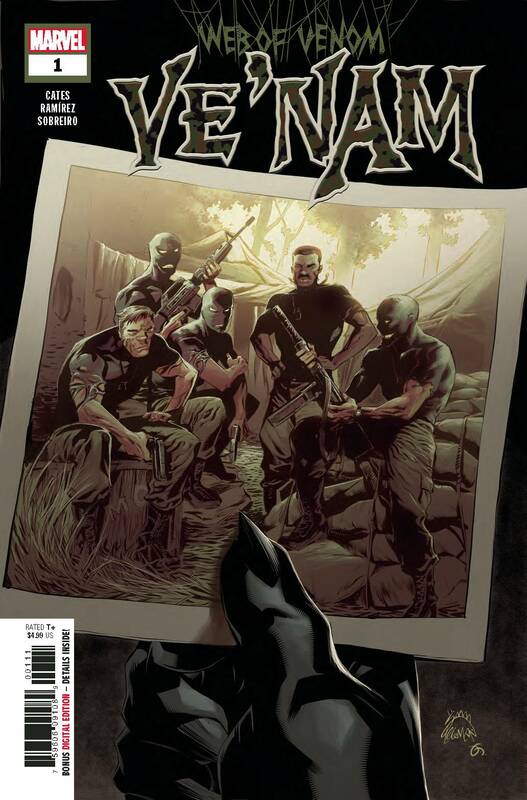 They already have a 2nd print of Ve’Nam scheduled. 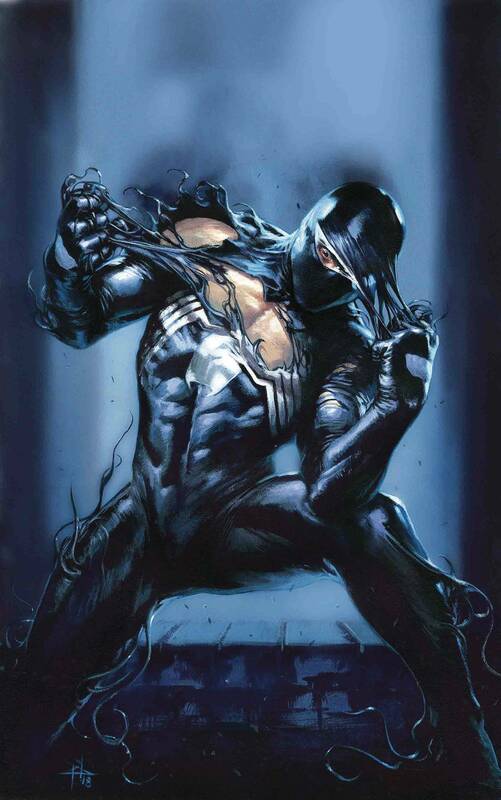 Web Of Venom Ve’Nam #1 (Cover A Ryan Stegman), $4.99 All of our variants were damaged, UGH! We can reserve one for you when the come back in the shop. Check out Marvel’s books on sale 8/22/2018! I promise pics from the 5 Year Anniversary Party are coming this week! On to this week’s Marvel books! 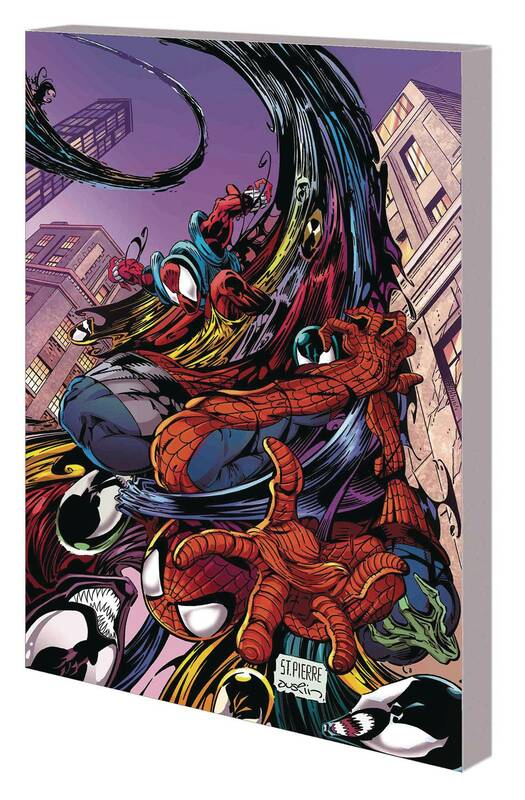 A VeNoM book for kids ?!?!?!?! Yes, it’s true! 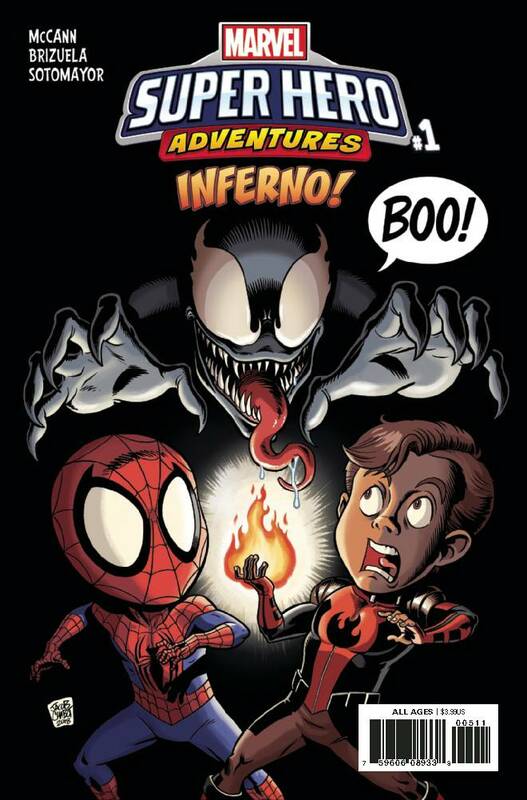 Marvel Super Hero Adventures Inferno #1! Leading the way is Punisher #1! 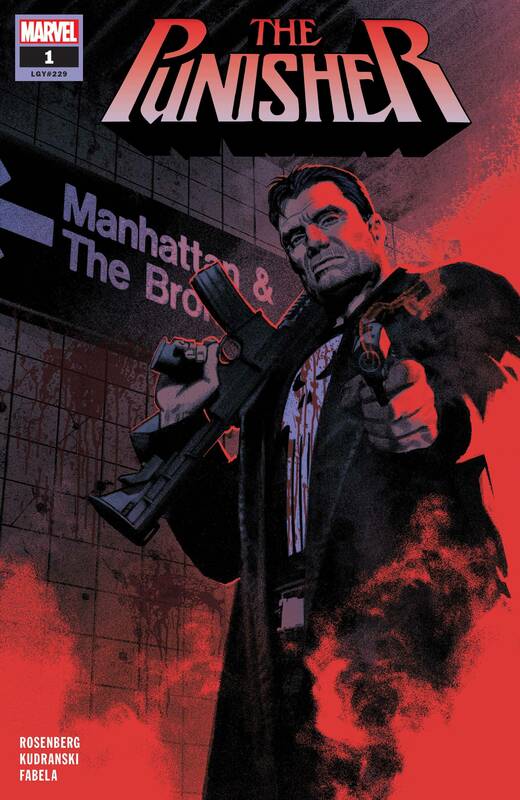 Matthew Rosenberg is continuing his run with Frank Castle. He’s out of the War Machine armor, but still ready to deal out some of his own brand of justice. This is a great issue to jump in on a new story arc! 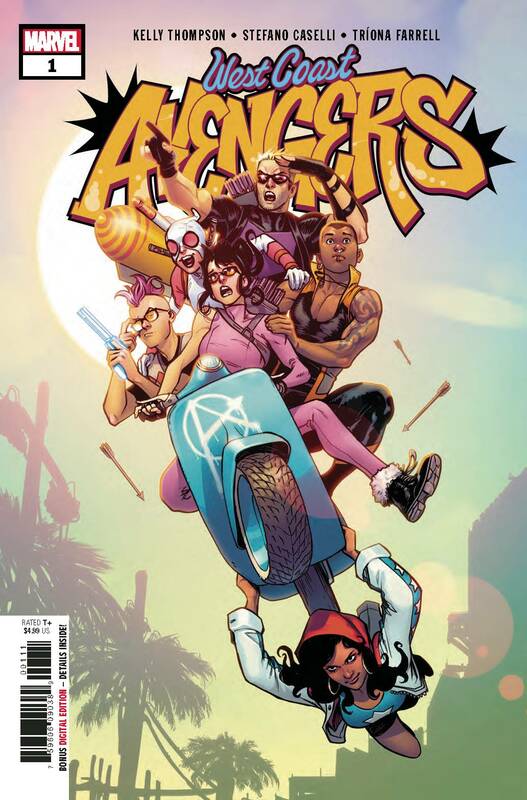 Another new #1 is West Coast Avengers! Yes, they’re back & this go around you get BOTH Hawkeyes (Clint & Kate), Fuse, Gwenpool, America Chavez & Kid Omega! Written by Kelly Thompson, this is sure to be a fun ride with Stefano Caselli providing art! Rounding out the week: Amazing Spider-man #4, Avengers #6, Black Panther #3, Daredevil #607, , Life of Captain Marvel #2, Old Man Hawkeye #8, Sentry #3 (Definitely should be reading this! ), Venom #5, & Wakanda Forever Avengers #1. X-Books for the week: Hunt for Wolverine Mystery in Madripoor #4, Mr. & Mrs. X #2, Old Man Logan #46, X-Men Gold #34, & X-Men Red #7. Star Wars books being released this week are: Darth Vader #20 & Doctor Aphra #23. Due to the overwhelming volume of AWESOME customers on Saturday, our Point of Sale (POS) broke! We are feverishly working to fix it/get a new one, so please be kind 🙂 This is also why we haven’t created a post-event post yet, but it’s coming! On to the good news, new comics on Wednesday! 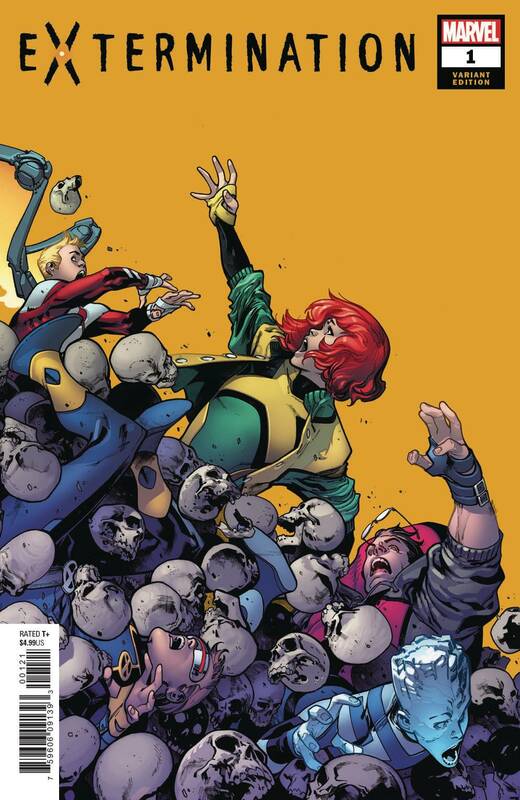 Extermination #1 features a new X-Men event & it looks awesome. It’s already sold out at the distributor level, so grab a copy! (Check out the Larraz 1:25 variant below). Edge of Spider-Geddon #1 comes out & we all remember what happened w/ the last Edge of release (for those of you who don’t remember, Spider-Gwen made her first appearance)! Cully Hamner variant below (I did not go big on this title, so reserve one if you definitely want one). A couple annuals with Cable/Deadpool & Astonishing X-Men release & the Infinity War continues with #2. Doctor Strange #4, Deadpool Assassin #5, Hunt for Wolverine Claws of a Killer #4, Multiple Man #3, Thor #4, Weapon H #6, Tony Stark Iron Man #3 & Weapon X #22 all come out Wednesday. Rounding out Wednesday for Marvel is Star Wars Beckett #1 & Poe Dameron #30 hit the shelves. 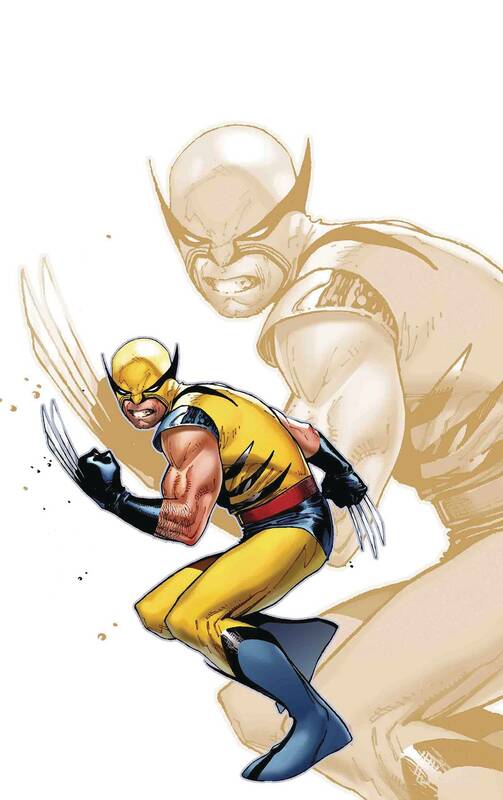 Check out Marvel’s books on sale 7/25/2018! 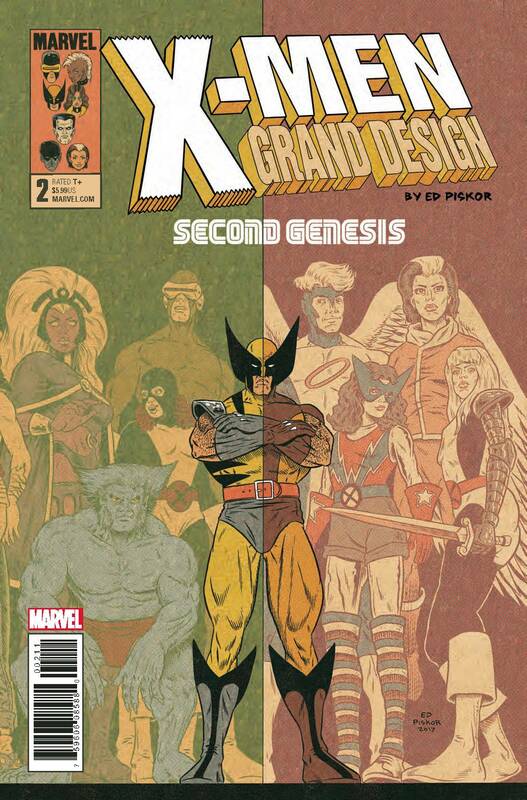 X-Men Grand Design: Second Genesis #1 – Ed Piskar continues his epic telling of the history of the X-Men! If you haven’t jumped in on this, do so. 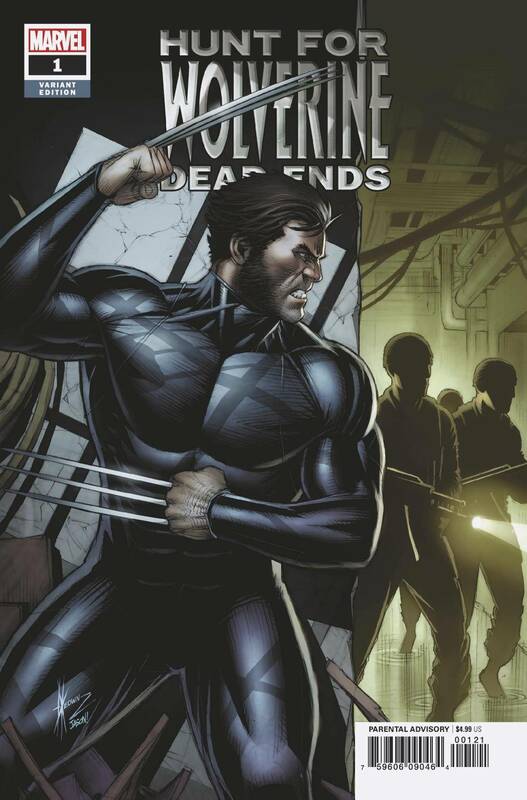 Whether your are a devoted, casual or new X-Men fan this is an incredible book that is accessible for everyone! The newly weds, Gambit & Rogue, start their 1st adventure in Mr. & Mrs. X #1. 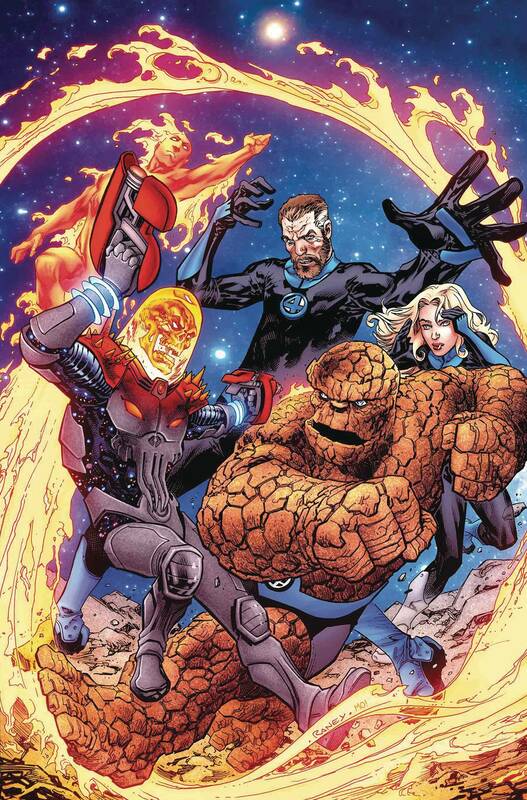 The Fantastic Four True Believers continue to roll out in anticipation of Fantastic Four #1. The second installments of X-23 & Amazing Spider-Man #2 make their way to the stands. X-23 was a really good first issue, the 2nd should prove to be just as good. 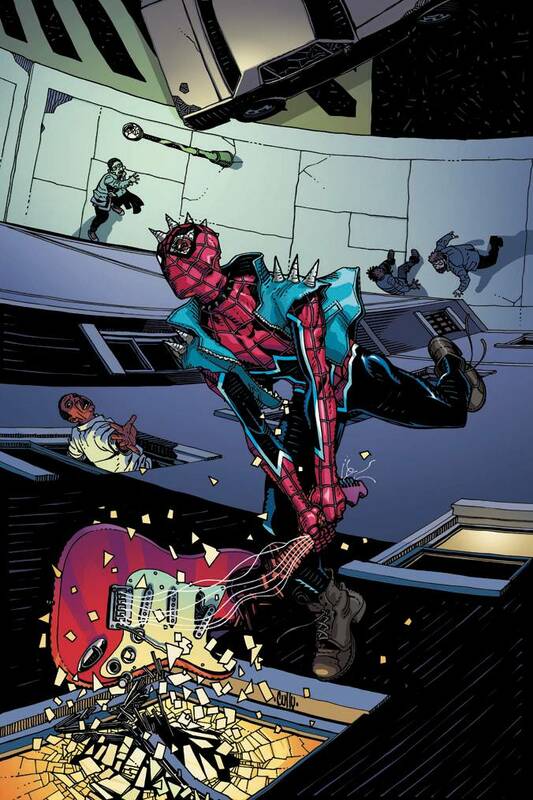 Meanwhile, the jury seems to be out on the artwork for Amazing Spider-Man. HOTLY anticipated books; Venom #4 & (sleeper hit) Sentry #2 drop this week. 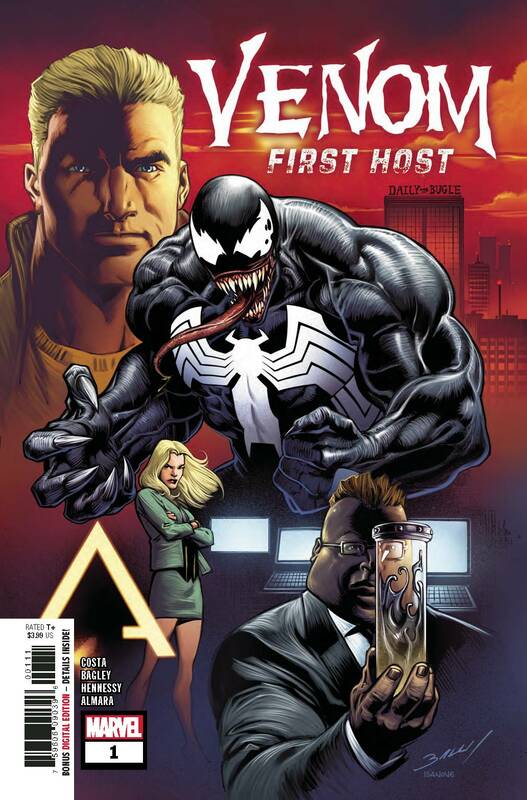 Venom is a no-brainer, but Sentry slid under the radar on most people’s reading list. Check out this book, Jeff Lemire has started what appears to be another awesome tale! 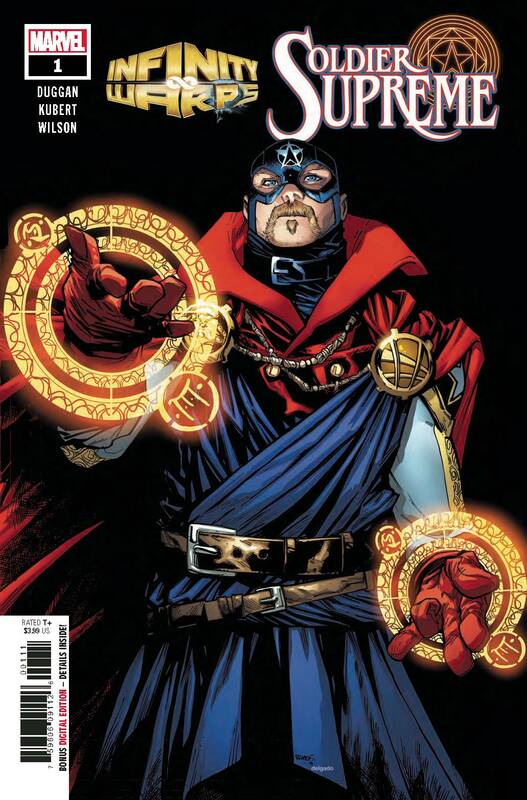 Infinity Wars Prime #1 (I don’t understand this stuff) kinda begins Infinity Wars? So we had Infinity Countdown, now Infinity Wars Prime only to get to Infinity Wars? Anyway, it’s Deodato art, so it should be awesome AND it’s sold out at the distributor level (check out our up-and-coming podcast #10 if you don’t know what I mean by this). Rounding out the releases: Champtions #21, Deadpool Assassin #4, Hunt for Wolverine Mystery in Madripoor #3, Old Man Logan #44, Multiple Man #2, X-Men Wakanda #1, Moon Girl & Devil Dinosaur #33, X-Men Blue #32, Moon Knight #, Star Wars Doctor Aphra #22, Star Wars Lando Double or Nothing #3. Check out Marvel’s books on sale 6/13/2018! 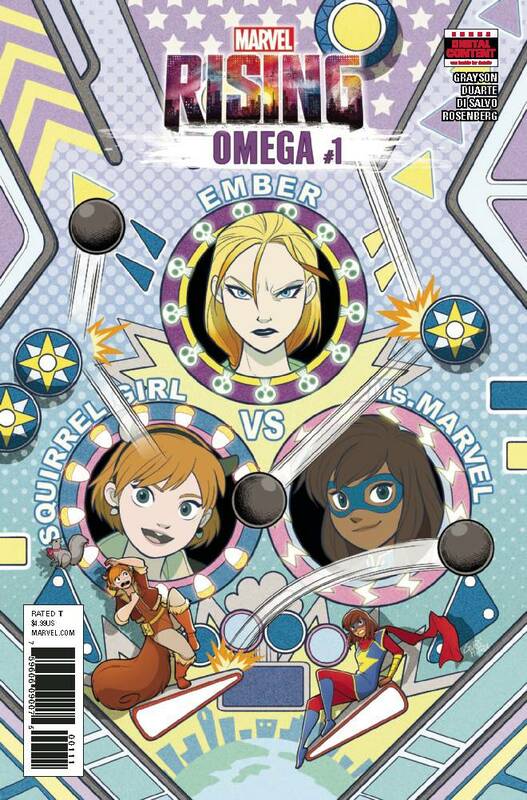 Marvel titles this week include: Marvel Rising Alpha #1 w/ Ms Marvel & Unbeatable Squirrel Girl! More Marvel #1’s?!? 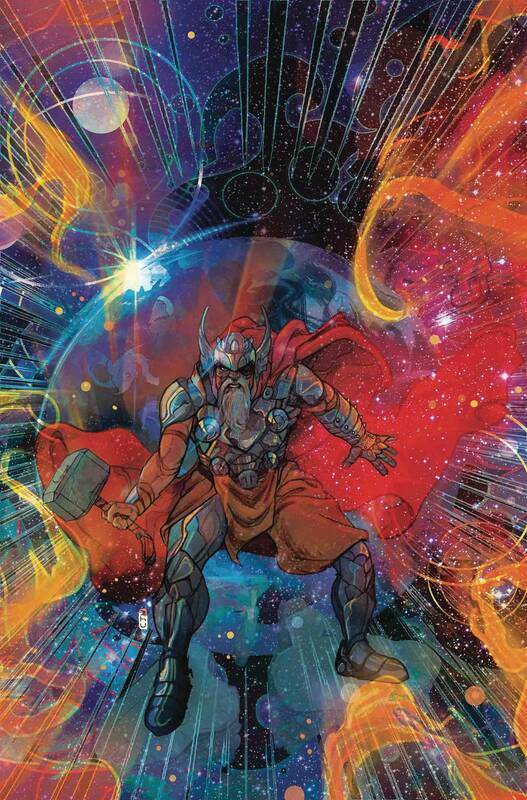 Thor #1 comes out this week and features Jason Aaron writing & Mike Del Mundo art (w/ help from Christian Ward)! Check out the 1:50 Ribic variant & the 1:25 Ward variant below! Deadpool Assassin #1 also comes out on Wednesday. The next installment villain books Darth Vader, Thrawn & Venom (yes, we are getting the Sam Kieth & Del Mundo variants for Venom) release in addition to Punisher, X-Men Blue and Marvel Two-in-one (The Thing vs Infamous Iron Man team-up Annual #1). 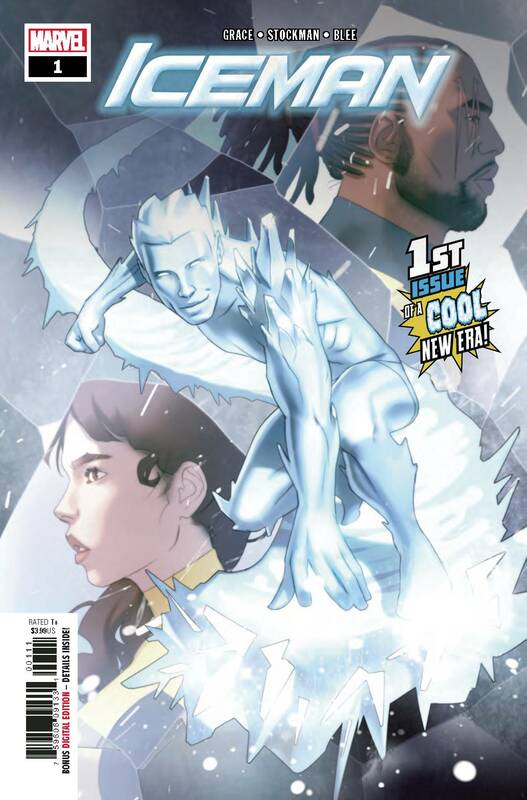 The 8 year, 6-issue limited series of S.H.I.E.L.D. comes to a close. If you haven’t read this, give it a shot, it’s worth the read and you don’t have to wait 8 years for the series to end! 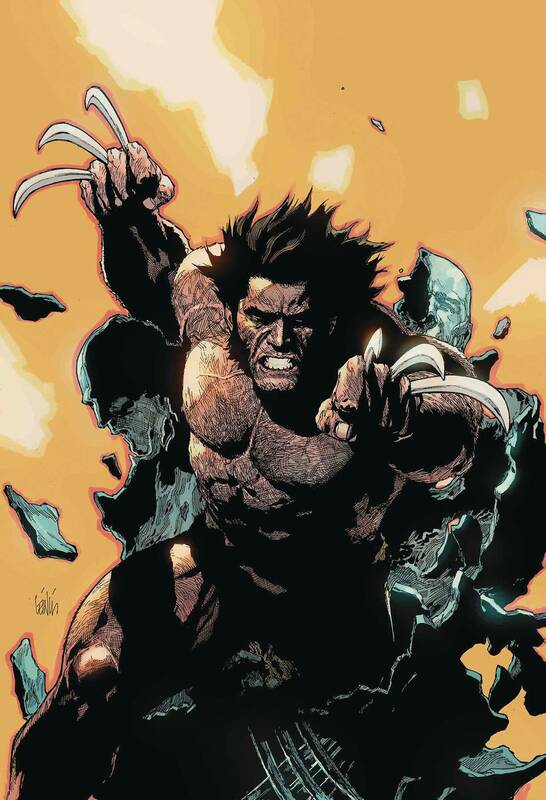 Finally, the Hunt for Wolverine continues in Admantium Agenda while the Infinity Countdown, well, counts down.